For example, here's an account that has two systems - "System 1" and "System 2". 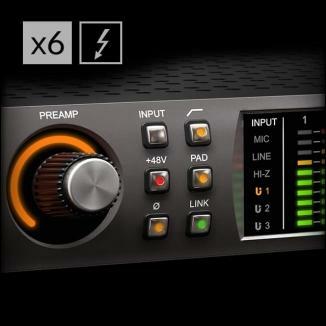 Each system holds its own plug-in licenses, and the devices in System 1 cannot use the plug-in licenses in System 2 or vice versa. However, all of the devices in System 1 can use any of the plug-in licenses within System 1, and all of the devices in System 2 can use any of the plug-in licenses in System 2. 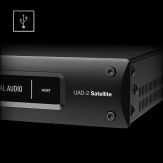 Q: I'm registering a new UAD-2 / Apollo device to my existing account. 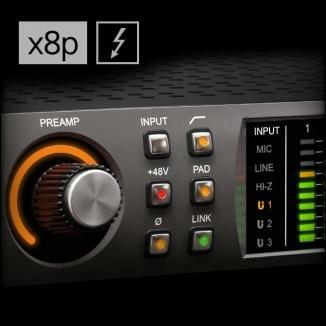 How can I make sure that my new device has access to all of my previously purchased plug-in licenses? 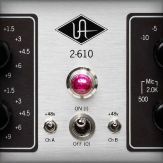 A: Please see the following article: How Do I Register a New UAD-2 / Apollo Device in Order to Share My Existing Purchased Plug-ins? 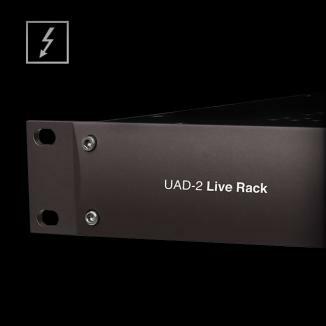 Q: I have UAD-1 devices registered in a system of my account. 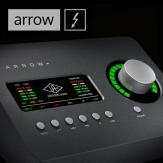 Does this affect how many UAD-2 / Apollo devices I can register to that system? A: No. 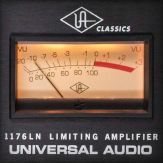 UAD-1 devices do not count towards the UAD-2 / Apollo device limit within any system of your account. 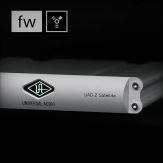 You can have up to six UAD-2 / Apollo devices registered to a single system within your account, even if that system also holds UAD-1 hardware. 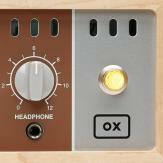 Q: I'm working in a studio that has UAD-2 / Apollo hardware, and I want to use my UAD plug-ins on the studio's system. How can I do this? 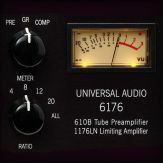 A: Your UAD plug-ins can only be used with devices registered to the same system of your account as the plug-in licenses. 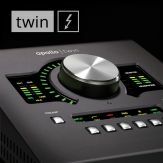 This means that in order to use your UAD plug-ins with someone else's UAD-2 / Apollo hardware, you would need to have the owner transfer the UAD-2 / Apollo device(s) into your account. 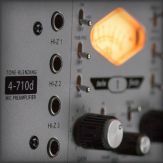 In a studio situation, this isn't always feasible so the best option for using your UAD plug-ins in another studio may be to physically bring your UAD-2 / Apollo hardware with you to connect to that studio's computer. 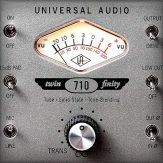 For details on using multiple UAD-2 / Apollo devices from different accounts with the same computer system, see this article. 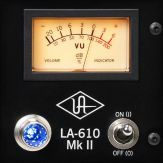 Q: I have six UAD-2 / Apollo devices registered to a system of my account, but one of these devices is no longer being used. Can I move this device to another system to make room for an additional device? A: Customer Support can move a particular device between systems of your account one time as a courtesy. Please contact Customer Support for more information. 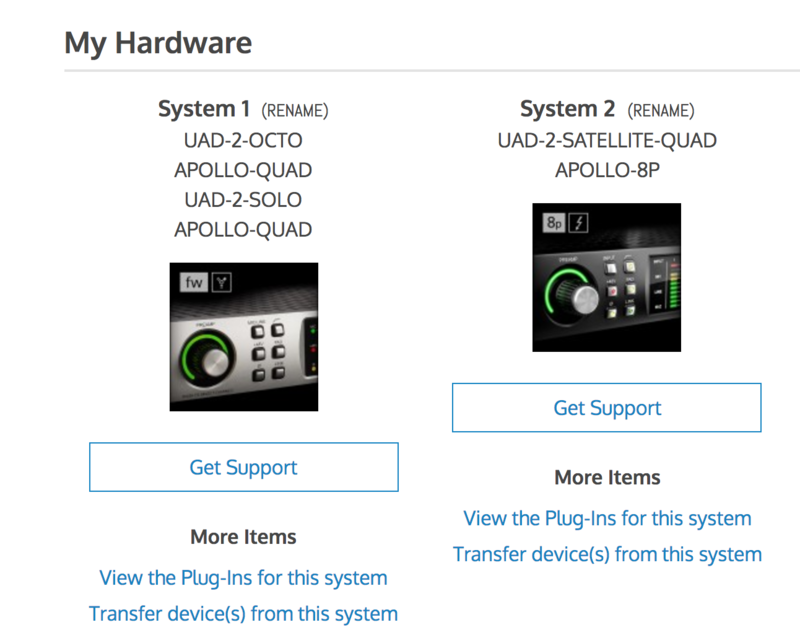 Q: I already have six UAD-2 / Apollo devices registered to the main system in my account, and I want to register a new device. 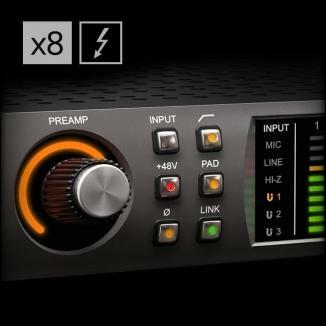 Do I have to purchase new plug-ins for this new device? A: If the main system in your account already has six UAD-2 / Apollo devices registered, any additional devices that get registered will automatically be placed into a new system by default. 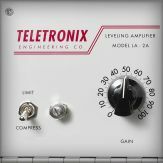 The devices in this new system will not have access to the plug-in licenses in the main system, so any plug-ins that you wish to use with the devices in this new system will need to be purchased separately from the Online Store. 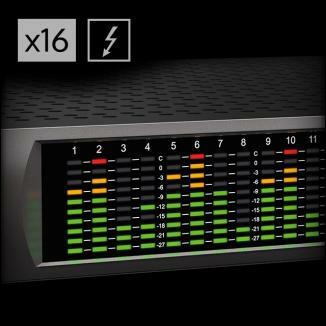 There is unfortunately no way around the six device per system limit. If you would like to move one of the devices out of your main system to make room for a new device, please contact Customer Support to explore your options.